C262, Chute and Chute Forest; from its junction with Hookwood Lane to its junction with Roundway Farm North to County Boundary. Alternative route: via Roundway Farm North to County Boundary – Hungerford Lane – Chute Causeway – Dummer Lane – C256 and vice versa. This Order will come into operation on 04 March 2019 and the closure will be required daily until 05 March 2019. It is anticipated that the works will take the stated duration to complete depending upon weather conditions. 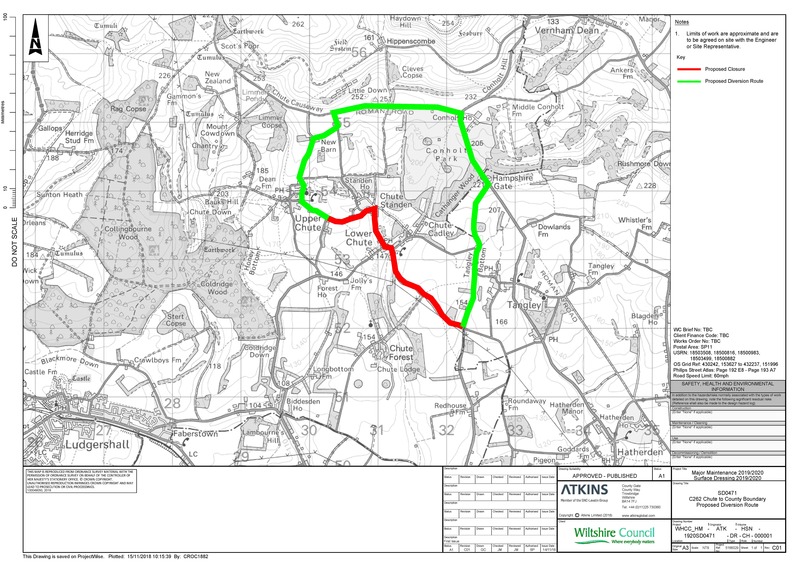 Access will be maintained for residents and businesses, although delays are likely due to the nature of the works. The Order will have a maximum duration of 18 months.